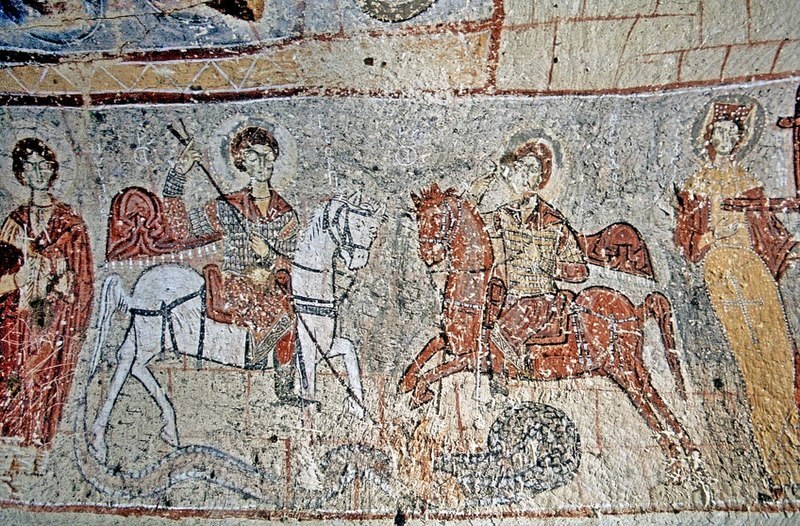 This is a fresco (wall painting) from Yılanlı Kilise ("Snake Church") in Turkey, which was made sometime from the 9th Century to the 11th Century. It's one of a handful of images that show St. George working with St. Theodore to defeat a dragon (which is a really big snake in this case). This copy of the image comes from the Wikipedia website [Link Here].